Google Home owners can now use the smart speaker to issue commands to iDevices smart-home products. 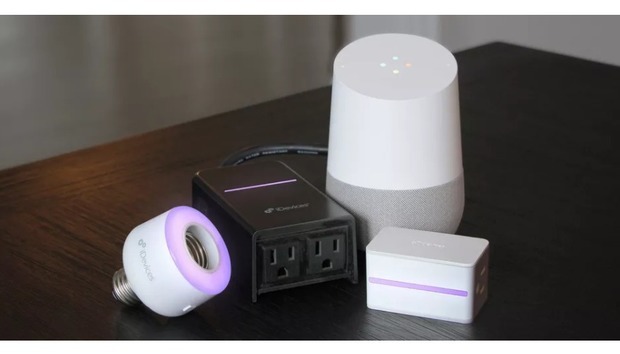 This brings online a number smart switches, outlets, and sockets for command and control through the Google Assistant. The company announced yesterday that you’ll be able to configure this connection with the company’s iDevices Connected app for iPhone and Android. To make this happen, you’ll need to enable the iDevices Service inside of the Google Home app, which is also available for both mobile platforms. The iDevices app is the centerpiece of controlling the company’s products. The iDevices application gives you detailed controls for various components in the company’s suite of products, such as the intensity of the night light on hardware that supports lighting, organizing your set of products by room for easier control, and setting schedules to best fit your day. Those with a Google Pixel smartphone will also be able to talk to their iDevices directly without a Google Home, since the phone also includes the Google Assistant. Over time, Google hopes to feature its digital companion in more hardware, just as Amazon has done with Alexa. Google has been racing to catch up to Amazon, recently bringing aboard Vivint, Wink, and 11 other smart home brands. Existing partnerships include other major players including Philips Hue, Samsung SmartThings, Logitech, and of course the Alphabet-owned Nest. Google maintains a running list of its smart home partners. For iDevices, this gives the company compatibility with each of the major DIY smart home platforms: Alexa, Google Assistant, and Apple’s HomeKit. Microsoft might also creep into this space, with the recent revealing of a Cortana-powered Echo competitor. While this is an important new product line to connect with Google, Amazon continues to push ahead with what Alexa can do. The new Echo Show adds in a touchscreen, and the Alexa has a more extensive set of skills that connect to third-party services.